Recreation Resource Management of America, Inc. was established in 1989 as a campground recreation provider for the USFS, originating in the Rim lakes area along the Mogollon Rim of Arizona. As our mission statement indicates, "We are dedicated to managing and protecting recreational and natural areas." RRM of A has provided quality public recreation for over 18 years. The purpose and goal of our business is to provide quality customer service to the recreating public, while preserving natural and campground resources for future generations to enjoy. Currently, RRM of A manages five permitted recreation areas. Four of these are USFS permits with one being the City of Show Low. 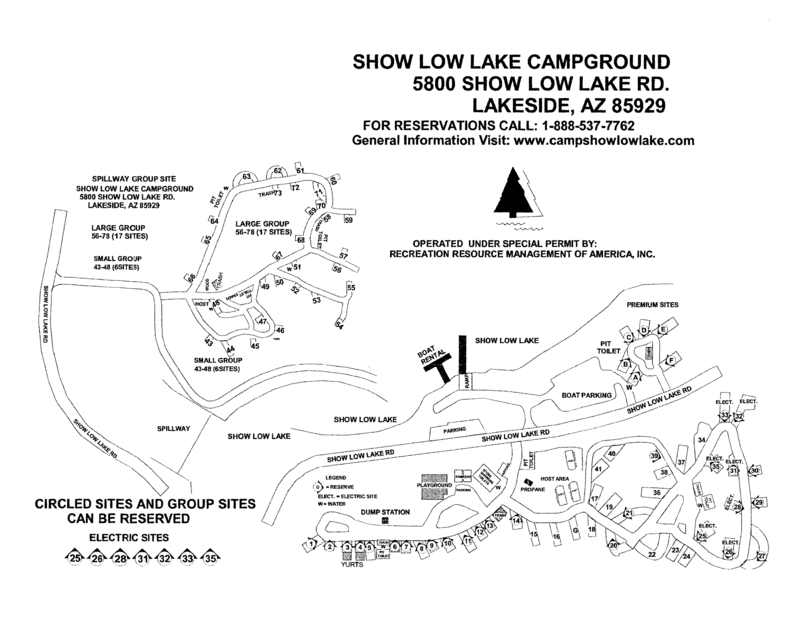 Show Low Lake Campground is a recreation campground with a retail store, vending machines, boat rentals, and shower facilities. The Show Low Lake Campground and Store have been managed by RRM of A for the last 15 years. In 2007, RRM of A upgraded our boat dock at Show Low Lake, along with the addition of new 14' Crestliner boats and 4 stroke Yamaha motors for public rental. Our boat rental agreements are done professionally, with instructions given to each person renting a boat. Recreation Resource Management of America encourages your constructive input and requests your comments and suggestions.